Editor’s Note: Brent continues to share ideas for continuous improvement in student performance. Writing is important to success in academia and in the world beyond. The best jobs require “excellent communication skills” and “excellent writing skills.” For some it is a gift, but for others it is a discipline. The real joy in writing comes when we master the mechanics so that our mind connects to the receiver with no thought of the technology involved, like a master musician. At this point, information is enriched with imagination and our enthusiasm creates a bond with the reader. Contemporary online university students often express concerns about handling written assignments for their classes. This discussion is designed to assist students in developing effective writing strategies and practices that will enable them to create quality papers. “close your eyes, visualize a specific, living, breathing reader, and say to yourself, ‘What am I really trying to say?’ Whatever the answer, write it down. Polish it later if it’s needed --- but you may be surprised at how trivial the polishing can be” (p. 5). Procrastination - often the greatest battle is getting started and students develop the habit of putting off doing an assignment until last minute and struggle to meet deadlines. Perfectionism - students who set unrealistic academic standards for themselves and are constantly revising their papers. It is can be an emotionally draining practice that often undermines the development of effective writing skills. Indecision - students find identifying a specific topic illusive and they waste time by continually switching between different ideas without any definite closure. Stress/Anxiety – when students are tense, it can shut down the entire writing process. Anxious feelings increase as the due date approaches and little or no progress is made. Job/Personal Problems - emotionally challenging work and home situations make writing more difficult because of preoccupation with too many problems. Negative Comments - excessively negative remarks by instructors or associates can create emotional or psychological barriers that undermine confidence. Term Paper Syndrome - absence of personal autonomy in selecting relevant topics create a mind set against having to crank out papers to meet course requirements (Muirhead, 2004). The list reveals the importance of understanding and addressing challenges that adversely influence on the writing process. Students share horror stories of college term papers that were heavily criticized and how this eroded their confidence. To affirm positive aspects of their work was a lost opportunity. Professional writers encourage people to start a personal journal to foster a positive attitude toward writing and empower them to freely express their ideas. Reflective journals are an excellent way to improve writing skills. Today, a growing number of people create electronic journals as an effective way to recall ideas and organize information. Educators use journal writing exercises in their classes because it offers a diversity of relevant learning opportunities. Students investigate knowledge in a less structured format while cultivating their writing skills. Instructors who take the time to carefully read student journals glean valuable insights into their sources of motivation and academic needs. Provides an aid to memory - researchers and writers have learned the value of recording their ideas for future use. Provide a basis for creating new perspectives - it creates a framework to explore ideas and identify contemporary intellectual trends. Enhances critical thinking skills - creates opportunities to refine thinking skills by analyzing the underlying assumptions of personal ideas and beliefs. Provides psychological/emotional advantages - it enables individuals to work through difficult work and personal situations and promote healing and growth. Offers opportunities to increase empathy for others - individuals address social issues and enhance their understanding of individuals and groups. Provides a practical way to understand books/articles - writing creates a framework to regularly examine reading materials and improve skills related to comprehending, understanding and recalling knowledge. Provides support for self-directed learning activities - journal writing requires personal discipline which is a vital ingredient in becoming a life-long learner. A writing plan is a vital step towards improving writing skills. The plan should emphasize realistic strategies that foster constant improvement and help to create quality papers. Veteran writers recommend establishing a writing plan based on assignment due dates. A good writing plan will involve calculating the approximate amount of time needed to effectively complete the paper. It will take personal discipline to consistently work on the paper. A writing schedule will reduce stress by integrating enough time into the individual’s daily routine to research, outline, write, and edit the paper in time to meet the deadline for the assignment. A writing plan will help procrastinators to get started earlier and perfectionists to allow more time for revisions. The time line must allow sufficient time to complete each phase of the research and writing experience. A time line should have built-in flexibility to insure that adequate time is allocated for each phase of the writing process (Sawers, 2000). Students at the University of Phoenix (UOP) can electronically submit papers for review by The Center for Writing Excellence. The Tutor Review service provides feedback on the first four or five pages of the student’s paper in grammar, word usage and organizational issues. Students normally receive their Tutor Review feedback within 48 hours but in busy periods feedback may take 4 or 5 days. The Tutor Review program is popular with students for its relevant and specific remarks. UOP plans to implement The WritePointsm Automated Review system in the near future. It will offer detailed feedback to students within minutes. Student writers must take personal ownership of their learning and develop a writing plan based upon sound writing principles and aligned with their personal and professional goals. Mattenson (2004) is a university teacher who encourages students to recognize their writing habits, “my standards are with you for 10 weeks, ‘I tell my students,’ but yours are with you for the rest of your life” (p. B11). During my second doctoral program, I made journal publication of articles a primary career goal. I made arrangements with the university administrators not to receive letter grades for my papers and course work. Instead, I focused my energies into producing quality term papers and I was able to translate my doctoral materials into numerous journal publications. The planning process is an essential step towards improving written work. It involves selecting an appropriate topic, designing a thesis statement, conducting preliminary research to make sure there is adequate information on topic, and developing a basic outline of the paper. Students who rush into their writing project and skip these steps take a risk that could cost them precious time. The preparation phase is essential to lay a solid foundation for the actual writing process. It helps students to achieve a focused paper with appropriate information sources to support their ideas. Students should strive for precision and impact in their papers. I remind my students that contemporary readers are opposed to any form of media that appears to waste their time. People will often skip over journal or magazine articles that lack conciseness and visual appeal. Contemporary Americans are well known for surfing through an assortment of television or radio programs and web sites. Therefore, writers must evaluate their use of language whether it has the dynamic quality that captures the reader’s attention or verbiage that might repel potential readers. Brohaugh (2002) describes flabby writing as “any that slows the reader down - anything that physically slows the sweep of the eyes across the words, that stands physically in the way of the reader’s mind absorbing the meaning of the words as quickly as possible” (p. 2). Students who tend to be verbose will write an excessive amount of words. Extra words produce confusion in the mind of the reader. Redundancy is one type of wordiness and it can appear in several forms: three illustrations to support a single point, constantly repeating a major point, or excessive repetition of a single word like “perspective.” It is misuse to cluster redundant words for emphasis and lose clarity. Brohaugh (2002) relates that “pesky tautologies simply clutter things up saying ‘mental telepathy’ when ‘telepathy’ is enough or saying ‘past achievement’ when ‘achievement’ itself communicates that it happened in the past” (p. 17). Writing papers can be a positive educational experience for online students who take the time to design and successfully implement a strategic writing plan. Students can become better writers through consistent self-evaluation of their work and application of relevant instructor suggestions. Students are more excited and motivated to write when they learn how to effectively share their passion and expertise with others. Brohaugh, W. (2002). Write tight: How to keep your prose sharp, focused and concise. Wilmington, DE: ISI Books. Hancock, E. (2003). Ideas into words: Mastering the craft of science writing. Baltimore, MD: The John Hopkins University Press. Hostetler, B. (2004, September). 10 simple exercises to improve your craft. Writers Digest guides presents start writing now: Your introduction to the writing life, 24-26. Mattenson, L. M. (2004). Teaching student writers to be warriors. The Chronicle of Higher Education. 1 (48), B10-B11. Muirhead, B. (2004). Facing the challenges of writing (class handout). Phoenix, AZ: University of Phoenix. Sawers, N. (2000). Ten steps to help you write better essays & term papers. Edmonton, Canada: The NS Group. 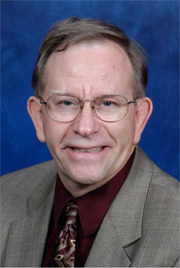 Dr. Muirhead is the Lead Faculty and Area Chair for GBAM Business Communications in the graduate department at the University of Phoenix campus in Atlanta, Georgia. He teaches a diversity of undergraduate and graduate level courses in Atlanta and online. He is an Associate Editor for Educational Technology and Society and he has worked as a visiting research fellow to Robert Gordon University, Aberdeen, Scotland. He may be reached via email at: bmuirhead@email.uophx.edu.